The Wall Street Journal has shared tonight some origins of the Apple Watch, according to unnamed sources. Apple began development on the Apple Watch nearly four years ago, as a health and fitness device, but was challenging to the company and dubbed internally as a “black hole”, since it constantly sucked in resources, say people familiar with the matter. But none of those technologies made it into the much-anticipated Apple Watch, due in April. Some didn’t work reliably. Others proved too complex. And still others could have prompted unwanted regulatory oversight, these people said. Development ended up being delayed due to the lack of health-sensor tech available to meet Apple’s standards, say sources. The company tested sensors that would measure the conductivity of skin, a way to measure stress, while other tech saw heart-rate monitoring such as an EKG, or electrocardiogram. But in the end, various factors inhibited development and consistent results, such as people with hairy arms or dry skin would not read results correctly, while other factors such as how tight the watch was worn also affected health monitoring. Due to these constraints, Apple decided to rely on simple pulse-rate monitoring, say sources. Other experimental technology included measuring blood pressure or oxygen in the blood, but again results were not consistent. Also, if these results had Apple providing medical or health tips to customers, approval would have been required by the U.S. Food and Drug Administration or other federal regulators. Sources tell the Journal Apple has told its Asian supply chain to produce 5-6 million watches for the first quarter. Prices for the high-end Apple Edition models with 18-karat gold are “likely surpassing the $4,000 high-end Mac Pro,” making it one of the most expensive products the company has produced. Production is pegged at half of the 5-6 million to be the entry Sport models, while another third for the mid-tier model and the rest for the Edition models. People familiar with the matter note while these health monitoring features were shelved for the first generation Apple Watch, they could possibly be introduced in later models (of course, it always happens that way). Earlier today, The New Yorker was granted unprecedented access in its profile of Apple design chief Jony Ive. Now, we see more ‘tidbits’ leaked to the WSJ in the same day—coincidentally of course. 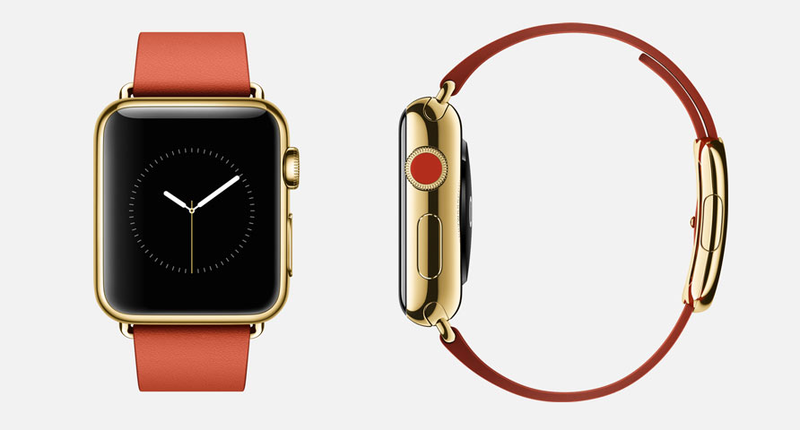 Clearly, Apple is ramping up hype for the Apple Watch, set to start shipping in April (get your wallets ready). P.S.– earlier today, Two Guys and a Podcast claimed Apple would be sending out press invites for a special event tomorrow, to recap the Apple Watch and also possibly debut a 12-inch MacBook. Take this with a grain of salt.